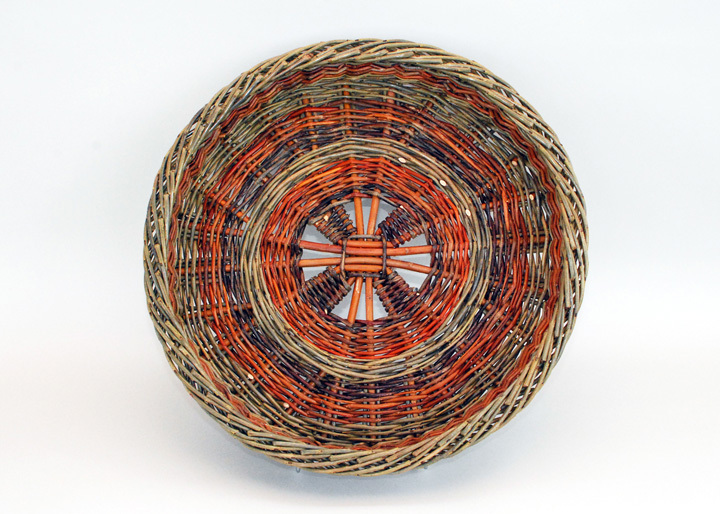 Katherine will be showing four baskets at the upcoming exhibit “Art of the Garden” presented by the Arts Council of Snohomish County at the Gallery at the historic Monte Cristo in Everett, Washington July 8-August 19, 2010. Over fifty artists will display work inspired by the garden or to bring the garden into the home. 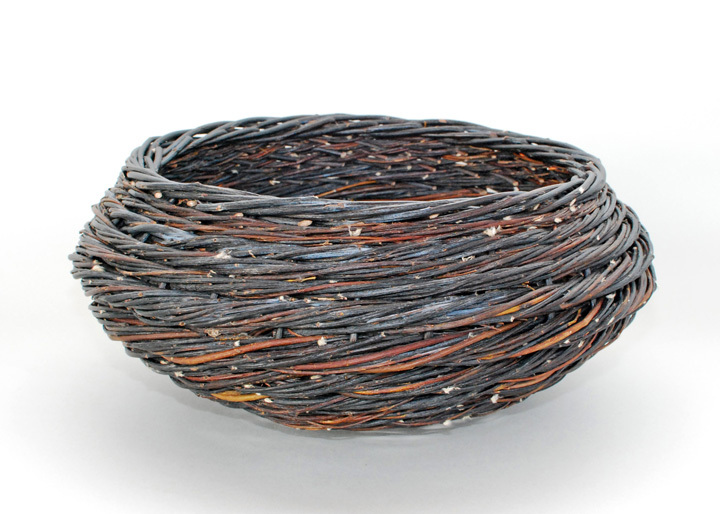 There will be work in a wide variety of mediums including glass, ceramics, painting , photography, and basketry. You can see the full list of artists on the Arts Council website. 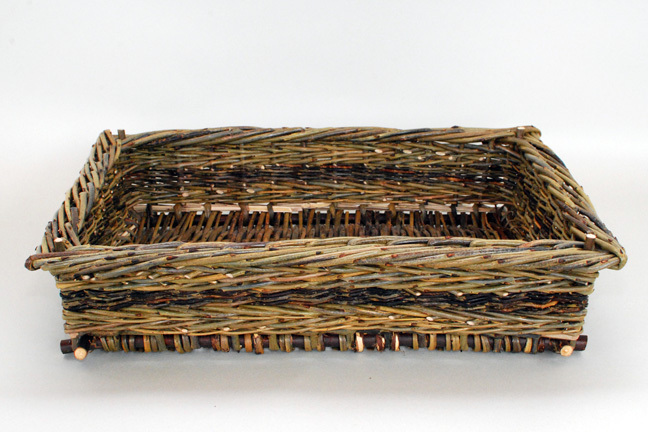 Katherine’s work includes this traditional Irish potato basket form made from some of the colorful willows we grow on the farm. The basket at the top of the post is a Scottish rope coil made from Salix daphnoides; an interesting looking blue willow that is difficult to work with. She also included a basket that is not only made from the garden, but one you can use to harvest the garden. There will be an opening reception on Thursday, July 8 from 5 to 8pm to meet the artists and see the work. The event is free to the public. The gallery is located at 1507 Wall Street in downtown Everett. Hours are Monday-Friday 10-5 and Saturday 11-4. The art work is for sale. 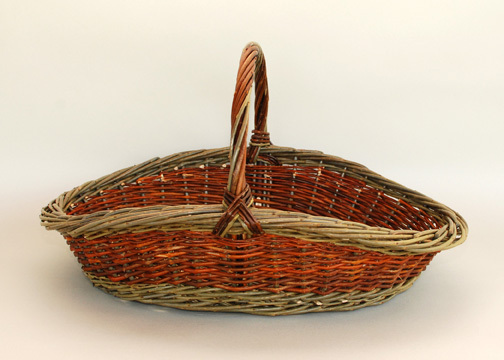 This entry was posted in events and tagged arts & crafts, Arts Council of Snohomish County, baskets, garden, Katherine Lewis, willow baskets by Steve@DunbarGardens. Bookmark the permalink.